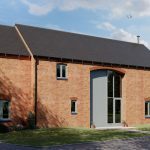 The Duchy of Lancaster has formed a joint venture with award-winning housebuilder Francis Jackson Homes to transform a number of disused agricultural buildings on its Higham Ferrers estate in Northamptonshire into a small residential development. 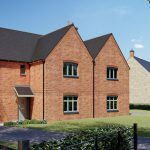 Five individually designed homes will be created on Bidwell Lane in the village of Caldecott, just 2 miles from the centre of Rushden. 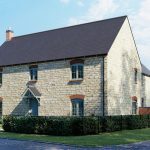 Using traditional materials and built in a vernacular architectural style, each of the family homes will be finished to the high quality standard required by the Duchy under its design guide and interior specification. between £300,000 (for the semi-detached homes) to £850,000 (for the largest detached farmhouse). Higham Ferrers has been part of the Duchy of Lancaster’s ancient inheritance since 1266 when Henry III confiscated the lands of Robert Ferrers (Earl of Derby) and gifted them to his son Edmund Crouchback. Today the Northamptonshire estate covers some 818 hectares and forms part of the modern Duchy’s Southern Survey.